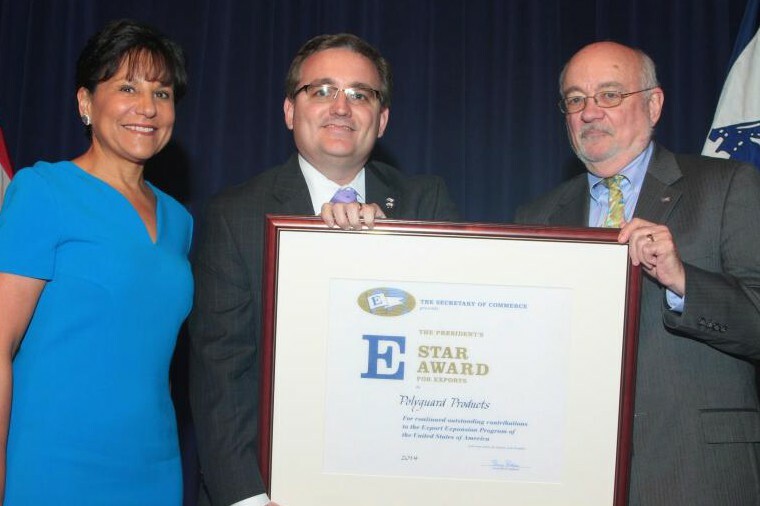 North Texas DEC Member Nate Muncaster, on behalf of Polyguard Products, was presented the President’s E Star Award by Secretary of Commerce Penny Pritzker. This award was given to Polyguard Products in recognition of its noteworthy export promotion efforts. E Star Awards are only given to previous recipients of the President’s E Award and E Star Award applicants must show at least four years of successive export growth since winning the “E” Award.